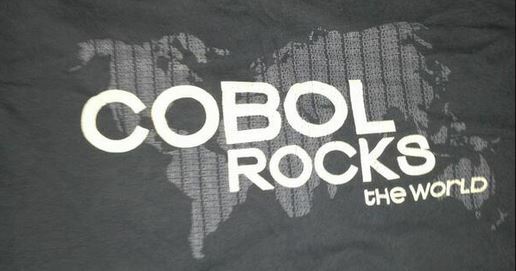 With so many modernization discussions in the Micro Focus community and the IT world at large, we wanted to offer a quick way for customers, partners and the wider COBOL community to get a quick download of recent discussions, assets and events. Covering all things Modernization, our new Did You Know newsletter, new for 2019, hits the streets this week. We’ve also opted to post it here, on the blog site, for our readers’ convenience. Why not let us know if you want to share your stories too! Let us know what else you’d like to see covered. Eighty-five percent of IT leaders agree: Application Modernization is a top IT team objective and an imperative for the business. However, change – even in small doses – is still difficult for many enterprise shops and requires a balance of cost, speed, and risk. What’s needed is a new approach – a smarter strategy for Application Modernization. Shortly after that we are at IBM’s THINK 2019 event, so if you’re going stop by booth #635 to learn more about why mainframe modernization is key to your business success in 2019. And of course those are only two of our upcoming events, we are taking our Application Modernization & Connectivity story global, so bookmark this page and make sure you come along to an event near you soon. 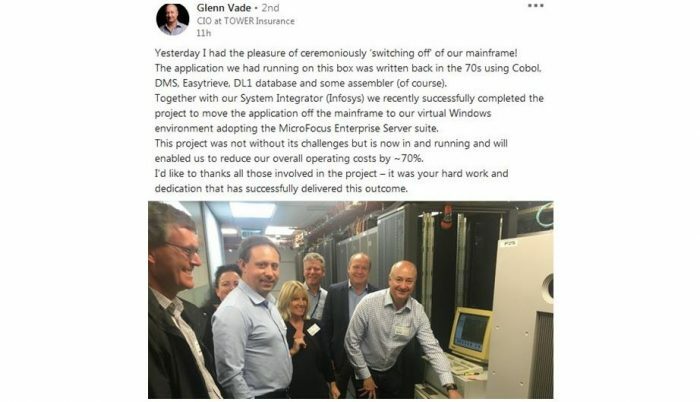 Find out about Micro Focus AMC technology working in the real world in this fantastic customer story. In addition to obvious cost benefits, Tower Insurance is now in a position to provide their teams with a modern development environment and take the next step of their application modernization journey. Graham Owen’s blog about Micro Focus AMC technology coupled with Tower Insurance making a winning combo is right here for you to enjoy. The mainframe’s continuity stands out against a backdrop of near-constant change in global enterprise IT. But in 2019, it will also be key to your organization’s transformation – so take full advantage. Feel free to find me on Twitter, and stop by this blog category as often as you like, it’s updated often!